☼ Atlantean and Lemurian wisdom. 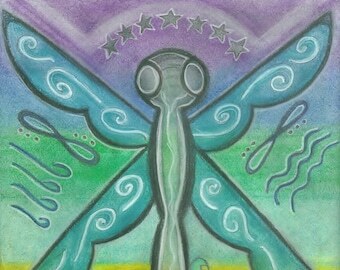 The Power of Dolphin - Study the image of the Dolphin and find the healing energy for Nature’s sound and touch healing. Play, explore, access DNA knowledge, share healing and intuitive awareness. Dream for your answers! A Totem Spirit Petroglyph Portrait uses images that are inspired by ancient rock art drawings, color therapy, sacred geometry, and totem animal archetypes to offer help and healing to the viewer. A power animal or totem ally can increase our strengths and balance out our weaknesses. Many say that these archetypes are encoded in our DNA from memories made in ancient times when humankind was much more in touch with nature. Others say that these archetypes inhabit a different plane in non-ordinary reality and that they function as animal versions of guardian angels to Native and Natural peoples. 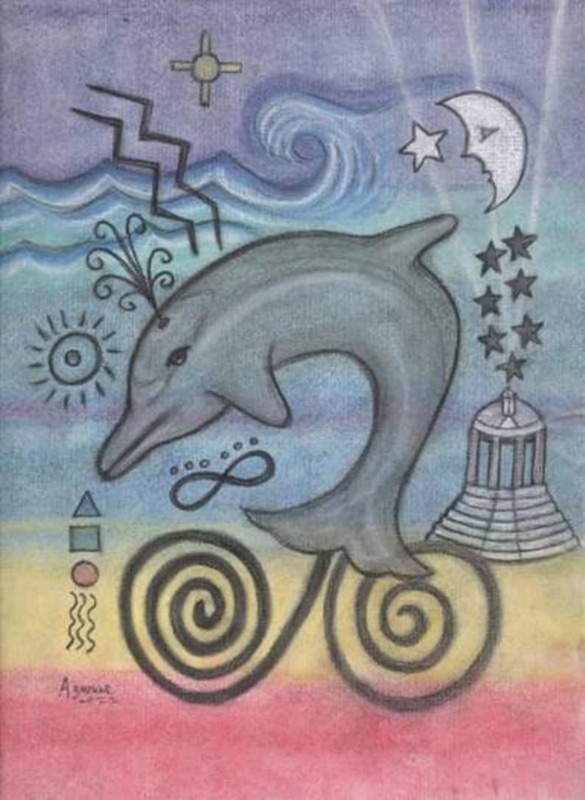 Dolphin Totem - The Spirit of Dolphin brings you: The healing power of breath, Sacred dreamtime knowledge, Sound therapy, music, chanting, Atlantean and Lemurian wisdom, Study the image of the Dolphin and find the healing energy for Nature’s sound and touch healing. Play, explore, access DNA knowledge, share healing and intuitive awareness. Dream for your answers! Beautiful piece. It was a well loved gift. Rapid delivery! An exceptionally beautiful pendant. Have displayed it prominently on one of my sacred images. Excellent and reliable seller!